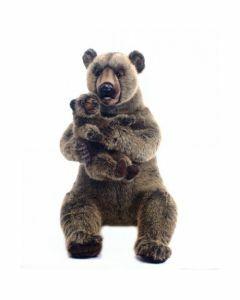 This stuffed brown grizzly bear would be a gift of pure joy. 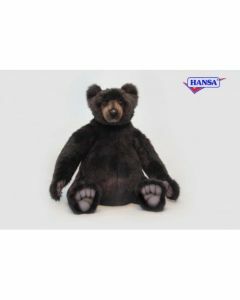 The bear measures at 10.92in X 8.97in X 25.74in (LxWxH) and weighs 3.66lbs. Please note this is a large item, so please check the size to be sure it will fit into the desired space. It is recommended for children aged 3 and up. This item is made by a company that is known and respected for their close-to-nature reproductions of the world's best loved animals. Ships via UPS/FedEx. Click on image for greater detail.